← Tomorrow’s Gonna be Another Day…. A green smoothie in the awesome shaker cup that the folks at Amazing Grass sent me (along with samples of their products). 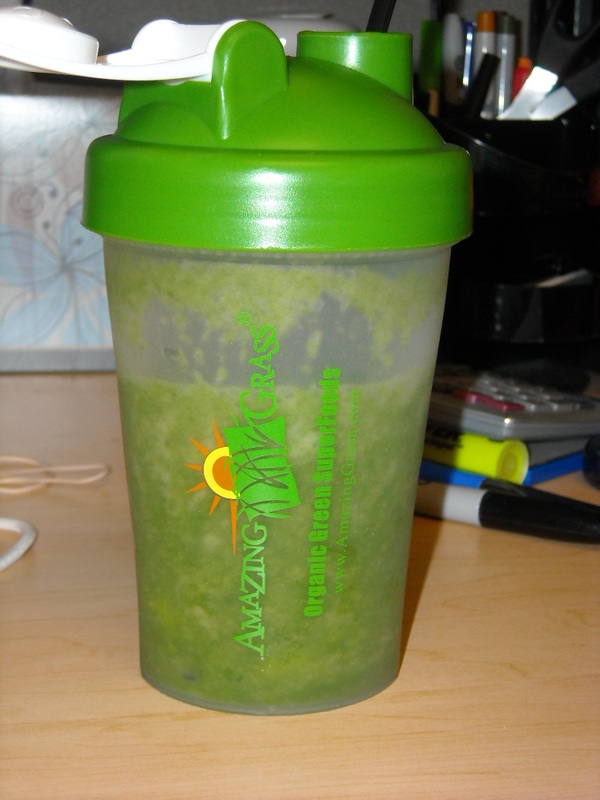 This one had spinach, banana, pineapple, and some Amazing Grass meal (a protein and vitamin/greens supplement). Not too shabby…not great on its own, but not bad in a smoothie. So, I’m definitely in a better state of mind than I was the other night…which is normal. We all have bad days every now and then and that day, I just let things get to me too much….today, I’m back on the proverbial horse! So, we are watching Jeopardy and relaxing!